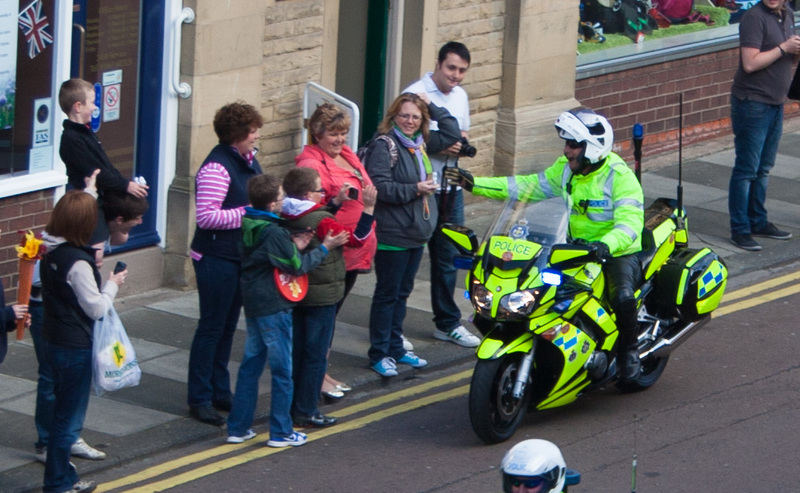 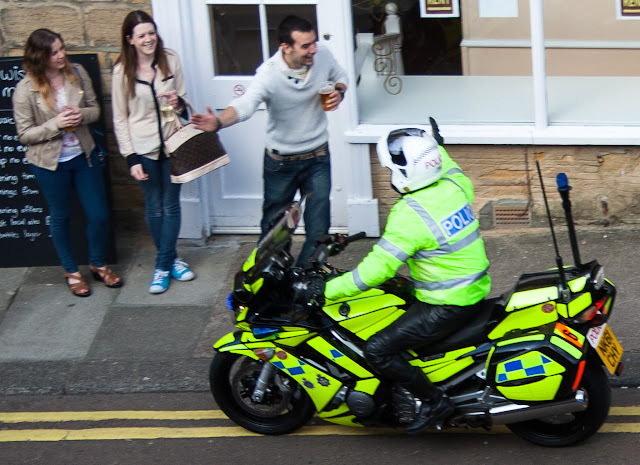 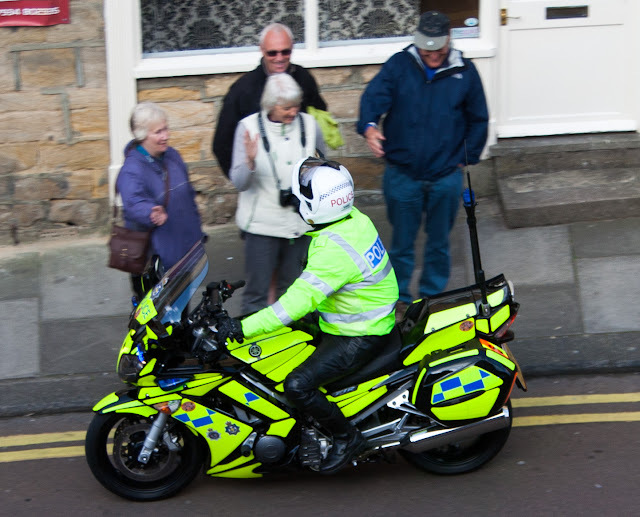 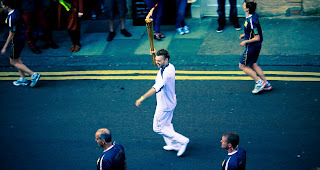 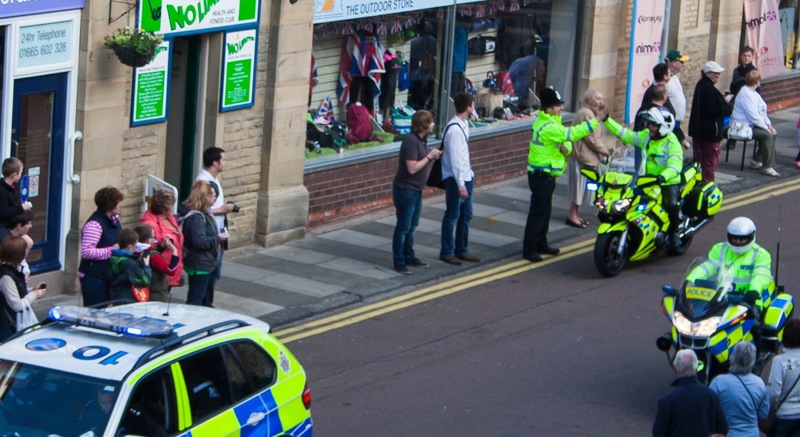 The Olympic Torch visited Alnwick yesterday and passed directly outside my house. 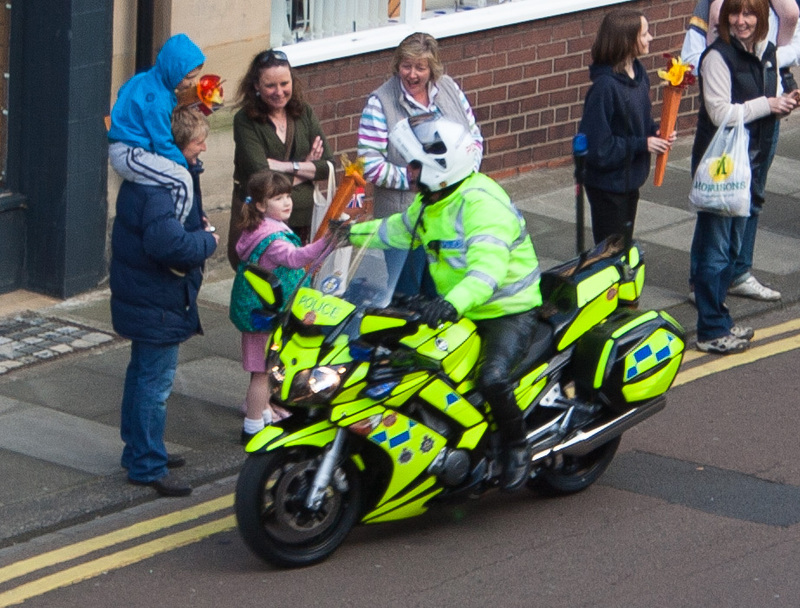 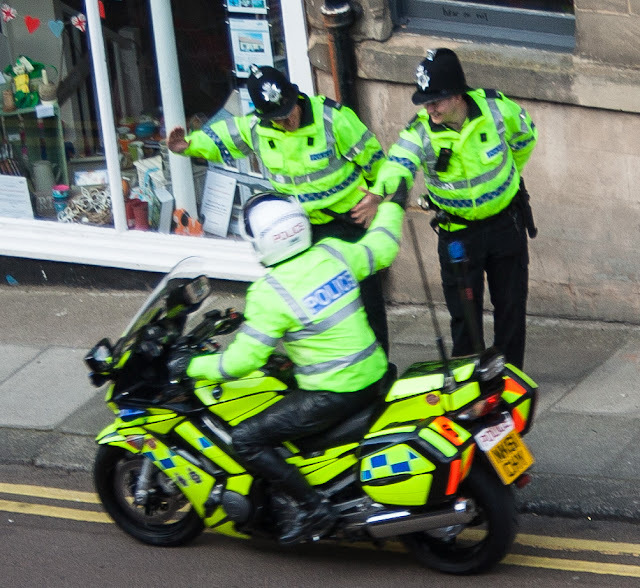 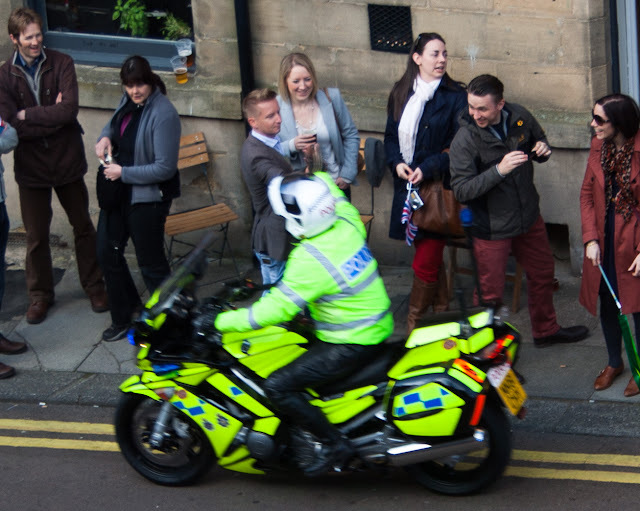 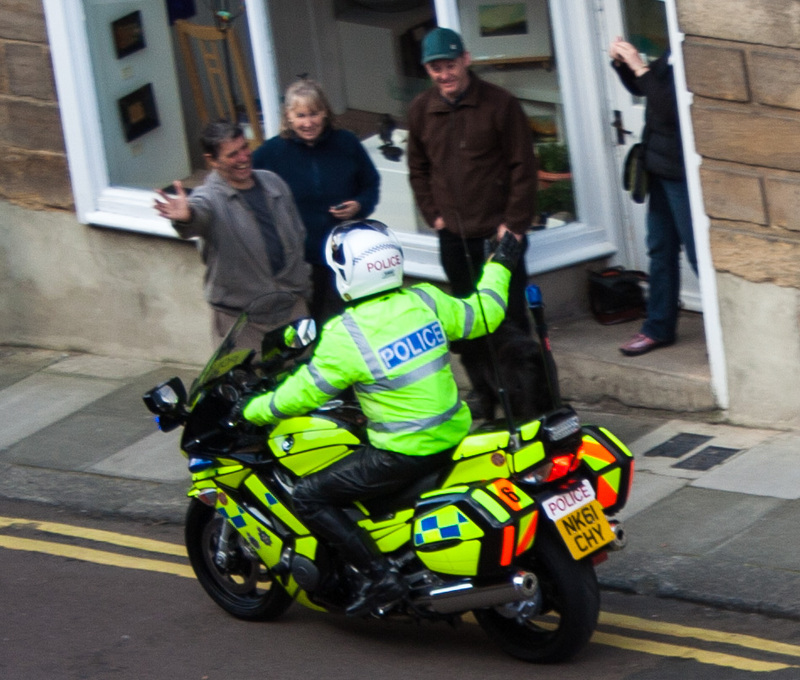 There were a lot of vehicles, cyclists, PR people oh and some guy carrying the torch itself. I didn't think much of any of them to be honest, but there was one guy who I simply loved and that's PC Awesome, the world's best motorcycle cop. He rode down the street and high-fived every single person. 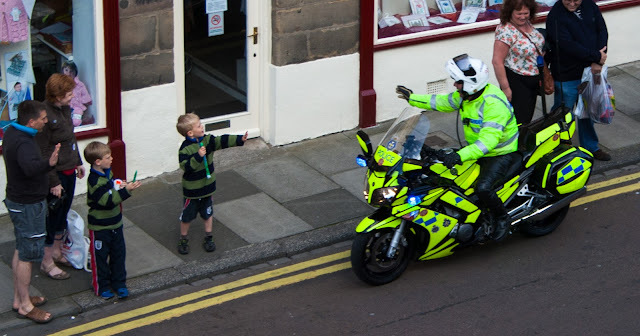 Young, old, tall, short, one characteristic, the opposite of that... he had a high five for everyone. And just look at the sheer delight on everyone's face! 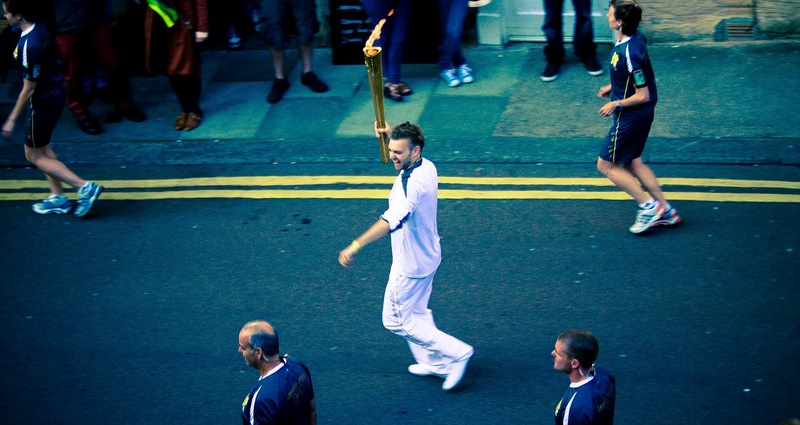 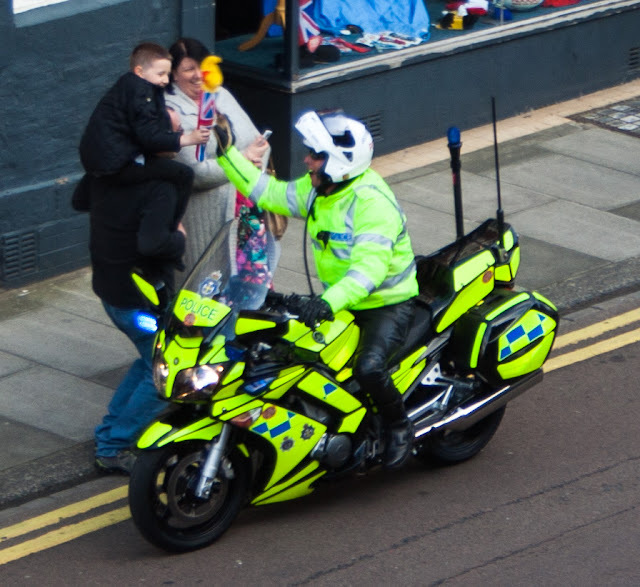 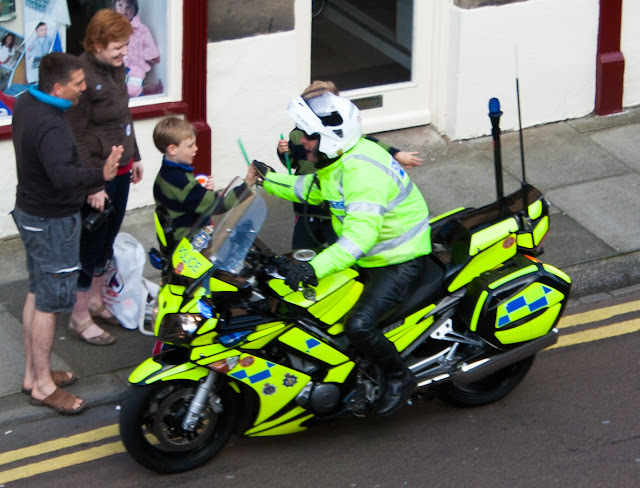 Sod the torch, PC Awesome made everyone's day just by being... well, awesome.